For over a decade, Teresa has lead Direct Sales Recruiting as a Top Ranking Recruiter year after year. She has been recognized numerous times for Representative of the Month, and Top Ranking Recruiter of the Year (2012 & 2103, 2015, 2016). She was soon promoted to a Senior Recruiting Manager and VP of New Business Development. 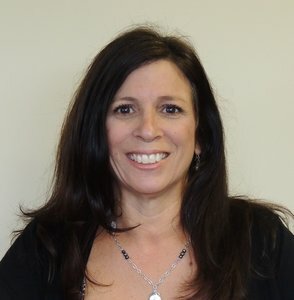 Teresa continues to recruit for top qualified candidates while cultivating new relationships with medium and large companies throughout nation in order to assist with their hiring needs. Teresa’s approach is exceptional and her candidates will call in and request her specifically when searching for a new career. She also continues to mentor new representatives on how to approach new ways to be successful in this role. Prior to joining DSR, Teresa worked on Wall Street for four years as a Corporate Foreign Exchange Trader for Lloyds Bank and Commonwealth Bank of Australia after graduating from St. John’s University with a Bachelor of Science Degree in Business Administration. She spent eight years in the print and online advertising arena. Teresa started her career in advertising as an Account Executive with Bell Atlantic/ Verizon/ Idearc/ SuperMedia. She was consistently a top performer, winning numerous Presidents Club awards she was promoted from inside sales, to premise sales and shortly after to District Sales Manager. “From the moment I first received a call from Teresa inquiring about my interest in a position, until the moment I received an official offer letter, Teresa was nothing less than the most helpful individual I have ever had the pleasure of working with during a process such as this one. She was always keeping me informed of any and all updates and she provided me with an abundance of good advice, suggestions, and recommendations that I am certain directly contributed to my securing the position. In fact, I am confident if not for my conversations with Teresa throughout this process, the odds of my receiving the offer would have been greatly reduced.